Our mission is to increase the adoption of renewable energy in urban areas. 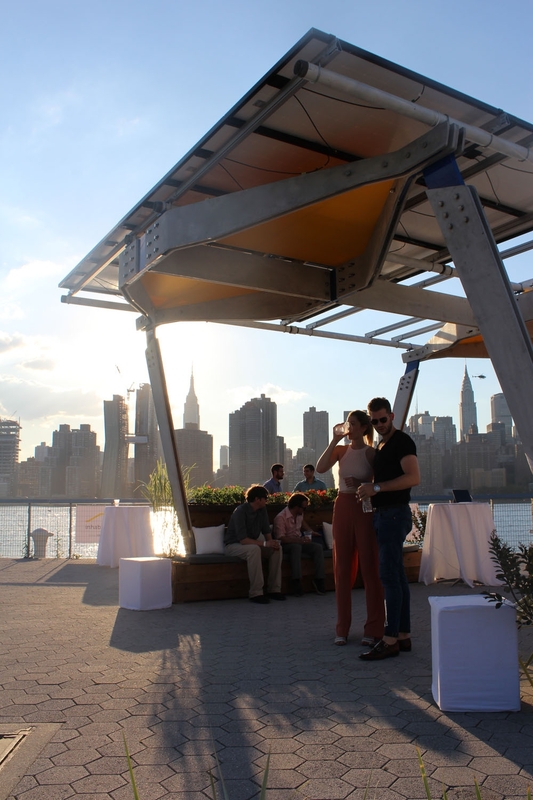 It is to fulfill this mission that we have designed our patent pending inhabit SOLAR cabana, the first modular prefabricated solar cabana to hit the NYC market! This product maximizes the solar capacity for your roof, avoiding obstructions and complying with NYC fire code regulations. Keeping the value of square footage in dense cities in mind, we have integrated an inhabitable zone below our elevated solar system, maximizing the usability of your roof. The result is a customizable shaded rooftop amenity with optional built-in modular deck, planters, furniture and other features for residents to enjoy. Our solar cabana can adjust to fit any flat roof making it faster and easier than ever before to go green. Our structure can be assembled in one day, eliminating the need for a burdensome construction project. Federal City and State Solar Incentives significantly reduce the cost to purchase, and over time the cabana will completely pay for itself. Solar rooftops are the future of our cities.